Veggies from my raised bed container garden. 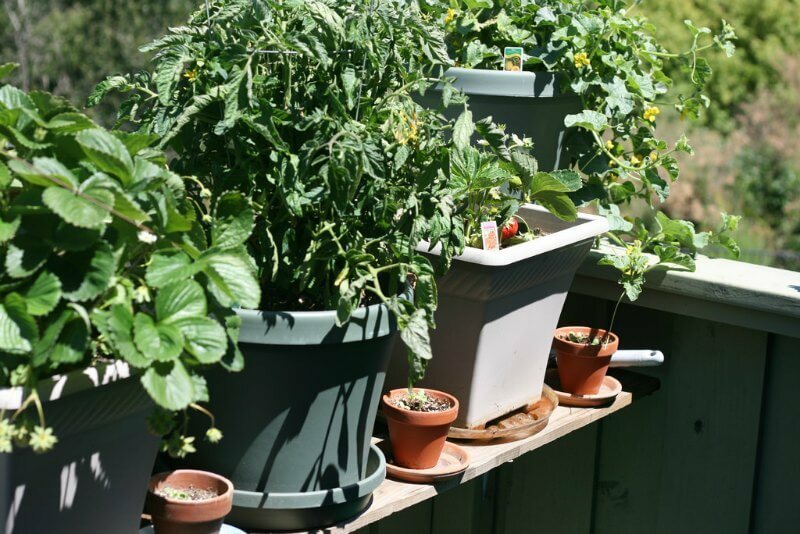 Container gardening is a great way to grow organic vegetables in small areas like small patches in your yard, patios and decks, balconies and window sills. 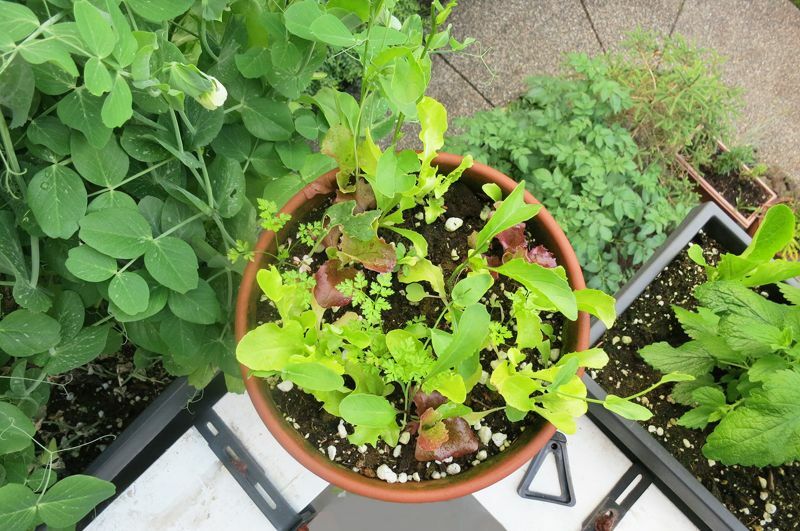 You can grow veggies almost anywhere when you have sun! One great benefit of container gardening in you don’t have to weed or amend the soil after the growing season. Container gardens will dry out more quickly than in-ground gardens so larger containers work better. Plants in containers will get hotter in summer and colder in winter than plants in the ground, but deeper containers will stay a bit more constant than shallow wide containers. You can arrange plants closer together in containers but you need fertilize regularly with a time-release fertilizer of every third or fourth time you water. Spaces2Grow helps you grow food! There’s a free space & crop library; Community support; Garden supplies and a Free Trial of interactive planning & design tools plus ongoing, personalized guidance. Learn more! 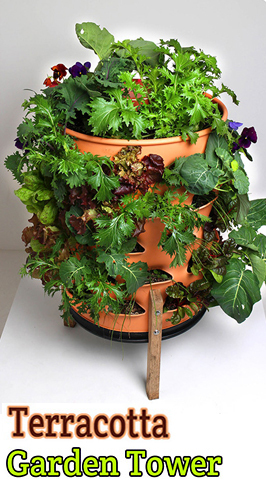 You have better control over the water and fertilizer supply to your veggies with a self-watering vegetable garden containers. These containers even out the dispersal which will keep your vegetables from cracking from overwatering. Larger vegetables will need a support like a cage or a stake trellis to support fruits as they grow. Terracotta pots look great and have good drainage. You can grow larger plants that have deep roots, like corn, garlic, cucumbers and kale. Keep in mind that terracotta will heat up pretty quickly in direct sun so watch the moisture level. Extra waterings might be necessary on hot, sunny days. Three things to consider when choosing a location for your container garden: sunlight, exposure, and wind. Container garden plants will wilt and dry out more quickly so the length and strength of the sunlight is important. If your plants need full sun, like beans, peas and peppers, you’ll need between 6 – 8 hours of sun per day. If you’re planting lettuce, cilantro, kale, beets or parsley, these plants prefer partial sun which is at least 4 hours of sun per day but not more than 6 hours. Keep your plants out of the wind. Wind is very drying even with adequate watering. Be sure to keep an extra eye on the soil moisture if your plants are exposed to windy conditions. Herbs fennel, dill and many other herbs, including rosemary, thyme, parsley, cilantro, oregano, mint, basil, bay and much more. Lightweight plastic pots heat up and cool quickly. This minimizes damage to the roots in hot weather. Terracotta, ceramic and concrete pots typically have one hole in the base so you need to choose plants that don’t need a lot of water and good drainage. These pots are also porous, absorbing and evaporating water through the pot. Self-watering pots generally have a reservoir basin in the bottom so you’ll need plants with a somewhat shallow root system. Hanging baskets help make the most of vertical space. Wooden containers are attractive but do need yearly maintenance to keep them looking good and functional well. Metal containers can add a bit of charm and whimsy. Keep in mind that the metal sides will heat up if in direct sun during hot weather. Grow bags are cheap and lightweight and easy. 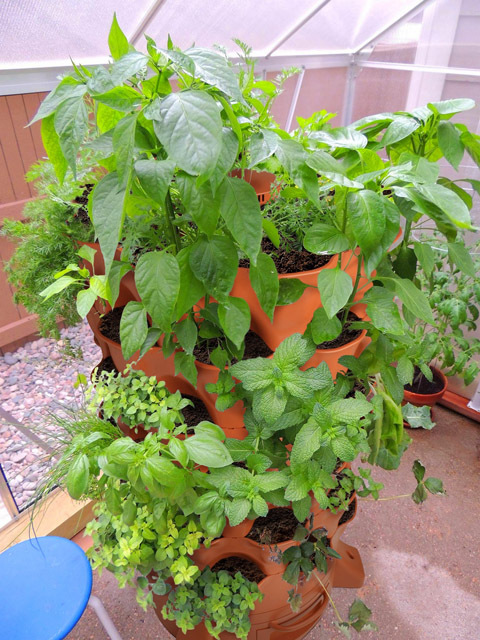 Upside down planters are a popular and fun way to grow tomatoes and other edible plants like lettuce, radishes, herbs, eggplant, beans and peppers. Too much water is as bad for plants as not enough water. Improper watering in the #1 reason for plants to fail and container gardening makes the problem more difficult. 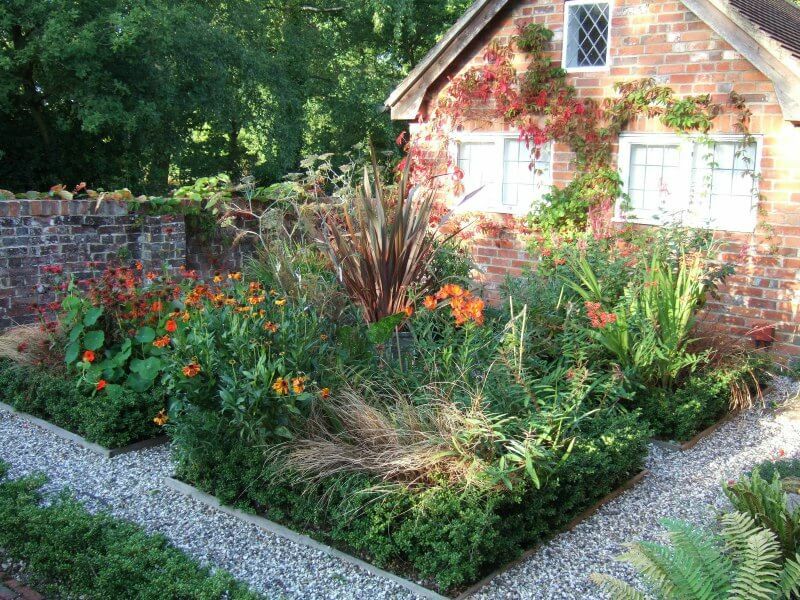 Plants should always be in well-drained soil and never have water accumulating around their roots. If you using containers like bowls, old buckets or water jugs, be sure to drill several holes in the bottom and test the drainage before planting. The soil in containers dries out faster so plan your watering for the different kinds of containers you use. Plan for watering. So-called “self-watering” containers have a reservoir beneath the soil topped with a grid through which the roots can reach down to the water. With these containers you won’t have to water as often, but you still have to keep that reservoir filled. And in the hot summer, mature plants will empty that reservoir fast, so you may have to fill it daily. Most vegetables need good soil with good drainage. 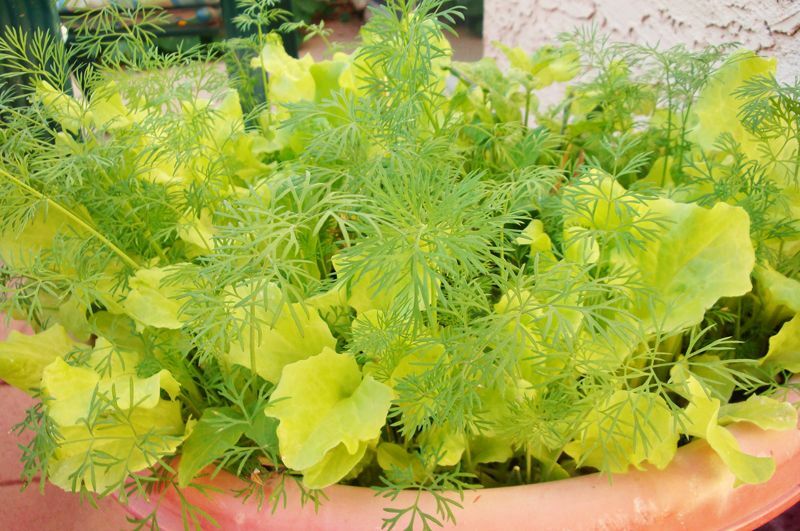 There are lots of veggies that will grow really well in containers if they have the right soil and moisture levels. 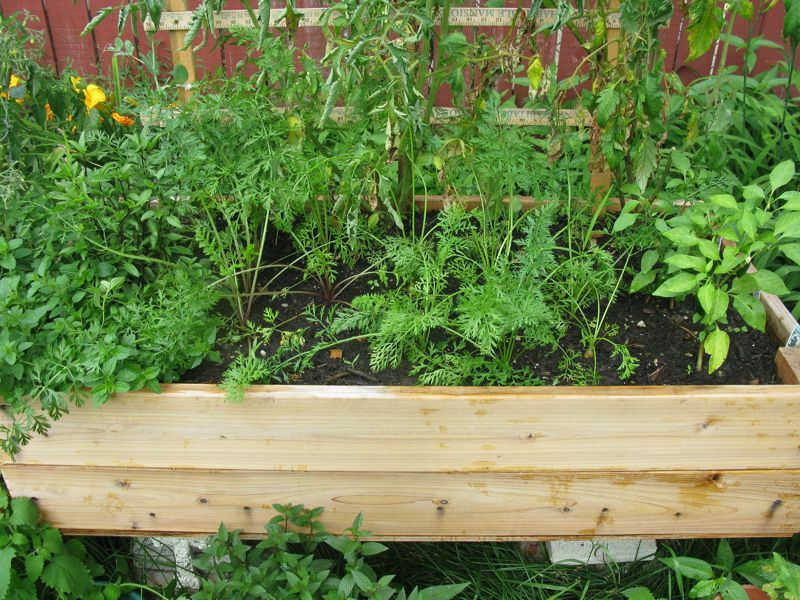 Plants with shallow roots, like lettuce and radishes, can be grown in window boxes or smaller patio boxes. Tomatoes need big pots at least 18” deep and about the same wide. 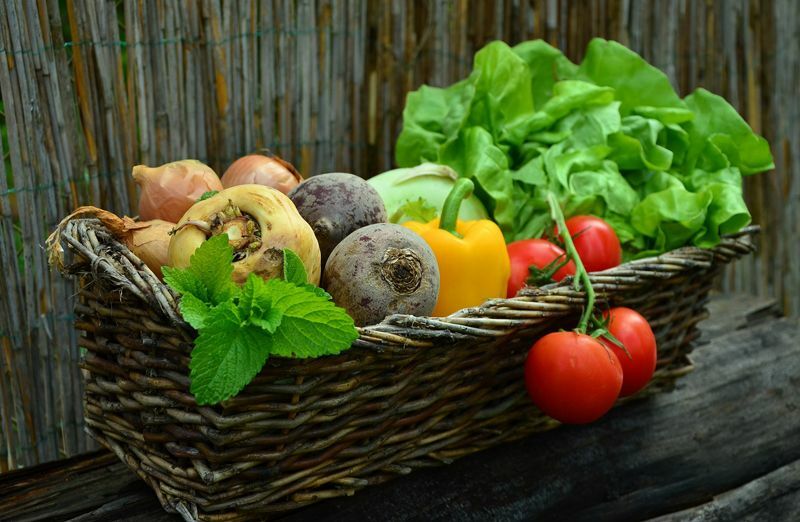 Greens as lettuces, spinach, arugula and swiss chard, along with smaller varieties of pole beans, bush zucchini, peas, and peppers grow well in containers. 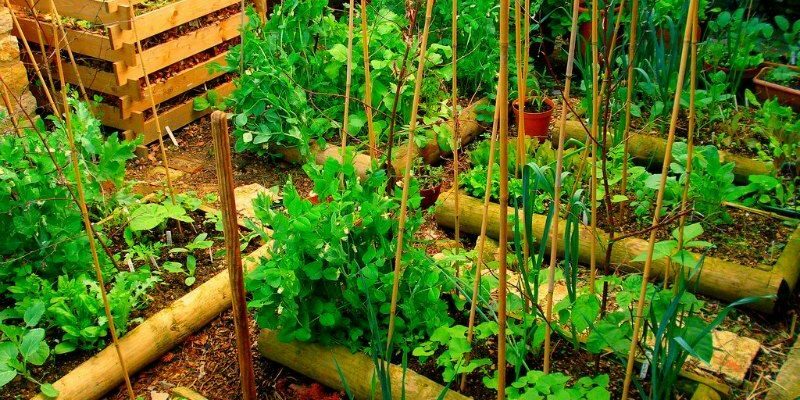 Some plant such as peas and pole beans need staking or a trellis for them to climb. Strawberries grow well in containers and one of my favorite pots is a strawberry pot. The terra cotta pot has holes in the side of the pots. You can plant directly in the top or let the strawberry runners go over the side. Strawberries will push roots down almost anywhere. You can grow dwarf varieties of fruit trees in containers such as apple, orange, and fig. If you’re using smaller container (less than 10 gallons) start with all-purpose potting mix for soil. Potting mix will hold the water better than soil (usually). Potting mix has peat moss or vermiculite, no weed seeds, and already has a good nutrient balance for your growing plants. Different plants have different requirements for the level of moisture. Fertilizer, called an NPK ratio (nitrogen-N, phosphorus-P, potassium-K) is different for different plants and it’s important to group plants together that need the same NPK fertilizer. For example, tomatoes have a 18-18-21 NPK ratio whereas the NPK ratio for beets is 1-2-2. 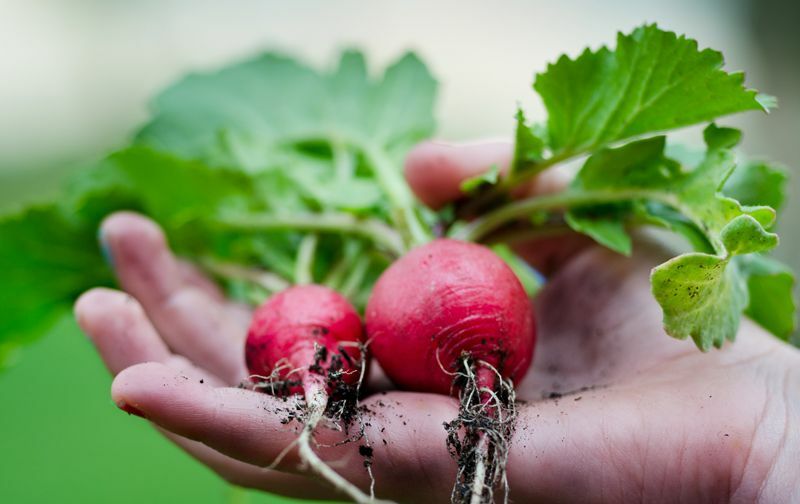 You probably won’t grow beets in with tomatoes, but whatever vegetable you want to grow in with your tomatoes be sure you can use the same NPK fertilizer, and you’ll need about the same soil moisture levels. Don’t forget to add organic material to your soil at the end of the season. 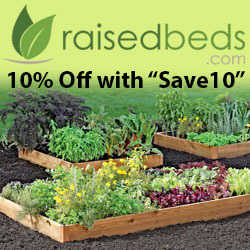 This will fortify your soil for next years’ garden. Soil should be replaced if watering takes too long to percolate down, if water runs right through or it shrinks down so that soil’s packed too tight and can’t absorb the water.